WWF-SA shows how a renewable energy mix of up to 20% can be materialised by 2030 through a series of reports which tackles the techno-economic aspects, socio-economics, small enterprise development and the industrialisation of CSP. South Africa’s current energy system is characterised by centralised power structures and inflexible bulk infrastructure development with long lead times. This system is no longer able to meet the country’s energy needs. In recent times we have witnessed electricity shortages and increased energy prices. This has had a significant impact on South Africa’s economy and its ability to meet the country’s developmental needs. WWF believes that to take the country forward, South Africa requires an energy transformation. We require a system that is flexible, resilient and able to accommodate innovative and effective technology applications which have minimal impact on the critical natural resources upon which we rely. As such WWF is calling for a much larger share of Renewable Energy (RE) in the country’s electricity mix. The Integrated Resource Plan (IRP) 2010 Update which sets out the countries optimal energy mix by 2030 makes provision for a 6-9% share of Renewable Energy, dependent on our economic growth. WWF is calling for a more ambitious share of RE by 2030, namely 11-19%. This ambition is set out in a WWF report published in 2014 titled Renewable Energy Vision 2030- South Africa. To achieve this vision, an estimated R540 billion will be required in private capital, the majority of which will be debt. Wholesale banks which have been instrumental in financing the Renewable Energy Independent Power Producers Procurement Programme (REIPPPP) to date are reaching prudent portfolio limits. Alternative sources of funding will be required. In a report, published in 2015, titled Exploring the role of retirement funds in achieving Renewable Energy Vision 2030, WWF investigates the potential for Retirement Funds, with R3 trillion in assets under management, to play a more active role in RE financing and the conditions required to achieve this. The techno-economic feasibility of WWFs 2030 vision has also been tested using a spatial-temporal analysis of South Africa’s entire electricity system. This is set out in a 2015 report titled Feasibility of the WWF Renewable Energy Vision 2030 – South Africa: A spatial-temporal analysis. This report shows that WWF’s 2030 vision is not only technically feasible but also economically prudent. The success of RE in South Africa will also depend on companies’ ability to support local community development, as required by the REIPPPP. An investigation into the success of RE developers in achieving their Socio-Economic Development and Enterprise Development obligations and the support required to improve this is explored in a 2015 report titled A review of local community development requirements in South Africa’s renewable energy procurement programme. 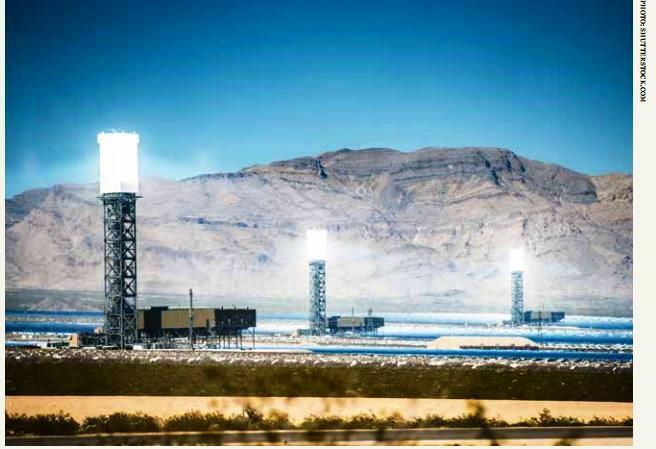 Finally, in a 2015 report titled, Concentrated Solar Power: A strategic industrial development opportunity for South Africa WWF explores the industrialisation potential of Renewable Energy, focusing on Concentrated Solar Power - a frontier technology with a relatively uncaptured market globally.